On 1/4, the new Imperial era named “Reiwa” was announced. As if riding on and being transported by a clear and gentle spring breeze, the Nikkei average exceeded 21,500. With the the announcement of the Chinese National Bureau of Statistics’ manufacturing industry PMI at 50.5 on 31/3, by exceeding 50, it marked a turning point from the 5-month long improvement and worsening of the industry condition, also, although the announcement of the U.S. March Manufacturing ISM Report on Business on 1/4 exceeded expectations which caused a push back on the increase, in particular, the renewal of the record at the Philadelphia Semiconductor Index (SOX), followed by the increase in U.S. semiconductor-related stocks also influenced Japanese stocks and pushed up the Nikkei average. Moving forward, in Japanese politics, it is filled with important dates up to the House of Councillors election scheduled for 21/7. For the ruling party, it is important that the change in the era name is welcomed while the jubilant mood is heightened via government leadership, and it can be said that having the public mostly positively accepting the new era name has cleared their first hurdle. However, with the official change in the era name taking place on 1/5, it is crucial that the 10-day holiday passes without any mishaps, and they would want to avoid putting a damper on the jubilant mood with a similar reoccurence of the chaos in the financial market (flash crash) on the 3/1 holiday. 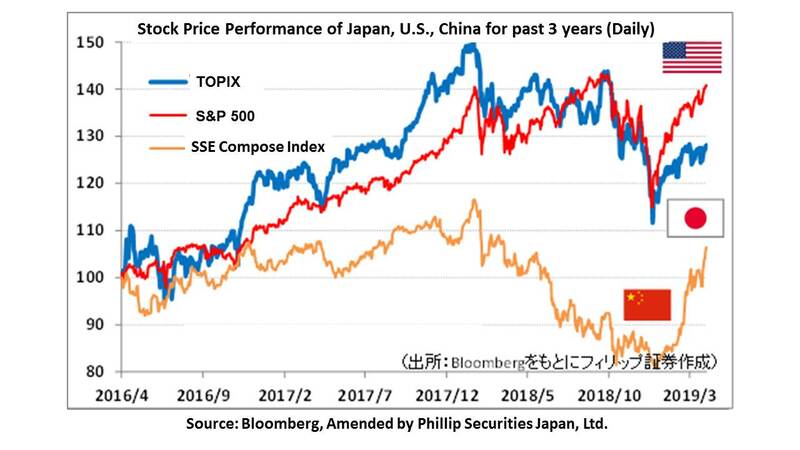 Although the government would probably have already taken all possible measures to prevent contingencies, due to the purchase of foreign securities from the GPIF (Government Pension Investment Funds) where demand in portfolio rebalancing is likely to occur during the month end, we may be able to expect a certain degree of demand in Dollar buying / Yen selling. With the nationwide local elections taking place on the 7th and 21st this month, in addition to the first meeting of the U.S.-Japan Trade Agreeement on Goods (TAG) on 15th and 16th, and the U.S.-Japan summit talks on the 26th and 27th around the corner, the increase in automobile tariffs and the handling regarding “provisions on the exchange rate”, etc., we can predict tough negotiations. Also from May, U.S. President Trump is visiting Japan from 26/5, and on 28-29/6 there is the G20 Osaka Summit around the corner. The U.S.-Japan summit talks are scheduled to run consecutively over 3 months, and in contrast to concerns regarding the TAG negoatiations, we can also expect sudden progress in the longstanding North Korea issue. This aspect is also viewed as crucial towards the House of Councillors election. In other words, from the viewpoint of the ruling party, being able to smoothly get past the announcement of the new era name and change in era, and the 10-day holiday, will mark the necessary requirements / starting line in order for them to win the upcoming election. This has been a return market from the rock bottom of the global stock market at the end of last year, and there is a prominent lag in Japanese stocks as compared to U.S. stocks. If it is also affected by the above political events, towards summer, we can expect a greater possibility of the downturn becoming increasingly at the downturn. 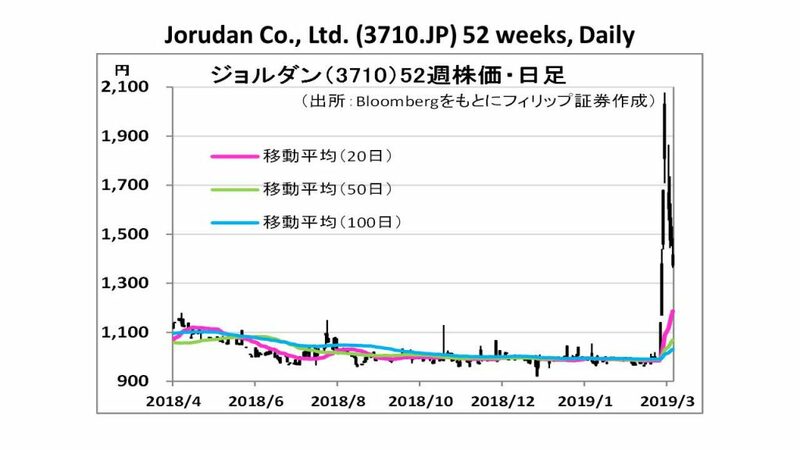 In the 8/4 issue, we will be covering Jorudan (3710), Ibiden (4062), Workman (7564), Mainichi Comnet (8908), Mimasu Semiconductor Industry (8155) and Kitakei (9872). ・Established in 1979. Comprised of the “Transport Transfer Guide” involving the manufacture, retail and accompanying services for the route search and fare calculation software for rail, etc. (transport transfer information), the provision of contents via “Multimedia”, and the entrustment of software development, etc., “Others”. 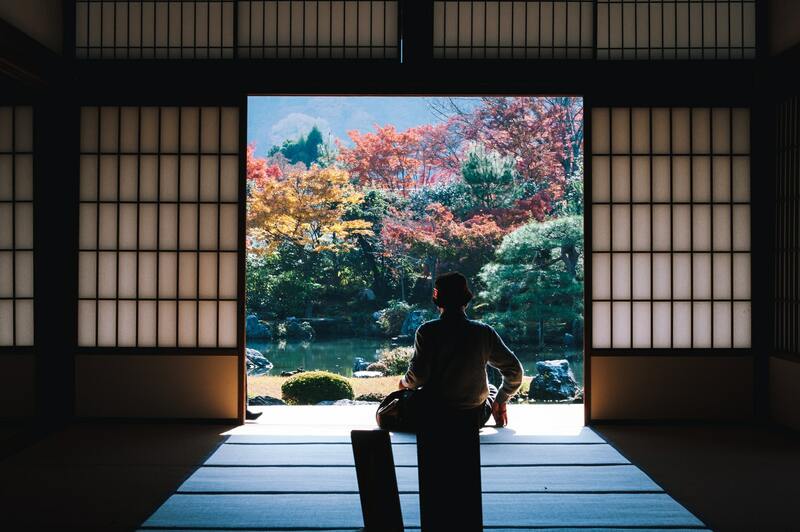 ・For 1Q (Oct-Dec) results of FY2019/9 announced on 14/2, net sales decreased by 0.9% to 962 million yen compared to the same period the previous year, operating income decreased by 81.8% to 12 million yen, and net income decreased by 87.4% to 7 million yen. Sales from their publishing-related Multimedia business that had been in a slump decreased by 64.2% to 21.63 million yen, and the ▲12.26 million yen from the loss in segment has affected. ・For its full year plan, net sales is expected to increase by 12.3% to 4.5 billion yen compared to the previous year, operating income to increase by 55.9% to 500 million yen, and net income to increase by 121.7% to 280 million yen. There are plans to launch the provision of a new mobile ticket app and service in May which will be able to handle inbound travel for the entire country’s municipalities as well as transport business operators from tourism facilities. Basing the “Transport Transfer Guide” app on MaaS (Mobility as a Service), we can look forward to their strategy in seamlessly linking various means of transport. ・Founded in 1912. Company is comprised of printed circuit boards / package substrates under “Electronics”, environment-related / specialised carbon / fine ceramic / ceramic fibre products under “Ceramics”, and building materials / resin / facility construction-related, etc. under “Others”. 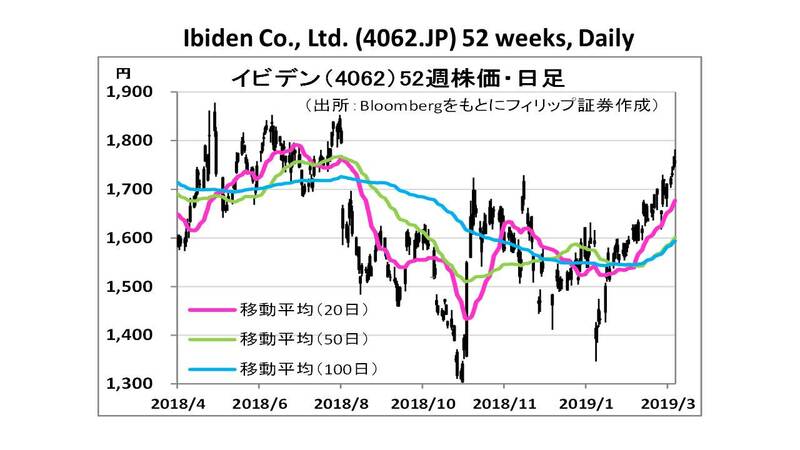 ・For 3Q (Apr-Dec) results of FY2019/3 announced on 4/2, net sales increased by 0.2% to 214.503 billion yen compared to the same period the previous year, operating income decreased by 34.6% to 7.068 billion yen, and net income is in the red at ▲735 million yen from 8.318 billion yen the same period the previous year. A decrease in operating profit in “Ceramics” and “Others” has affected. The net income in the red is attributed to an extraordinary loss of ▲6.693 billion yen from the liquidation of subsidiaries. ・For its full year plan, net sales is expected to decrease by 1.8% to 295 billion yen compared to the previous year, operating income to decrease by 40.1% to 10 billion yen, and net income to decrease by 91.4% to 1 billion yen. In the company’s previous term sales performance, net sales to the U.S. Intel was 57 billion yen with a sales distribution ratio of 19.0%. On 2/4, Intel announced a new line of semiconductor products for CPU and AI computation data centres/servers. We can look forward to an increase in orders of the company’s package substrates.